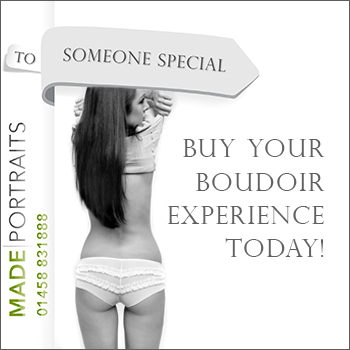 Looking for Boudoir Photography in Somerset? Boudoir Photography at Made will not only make you feel amazing but you’ll look truly incredible. There is no doubt that if you decide to go ahead you will look back on your stunning images for years to come and be delighted that you did your Made Boudoir session. 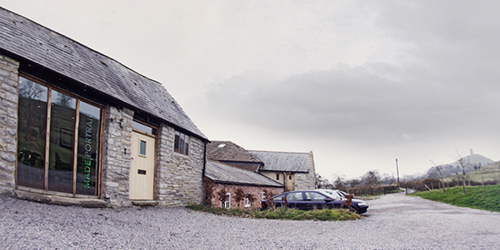 Our award winning studio in Glastonbury prides itself on quality photography, beautiful lighting, flattering body shaping posing techniques and fantastic products for your images to be presented in. A poor experience when doing a shoot like this can leave someone with quite severe confidence issues and so choosing the right photographer and studio for you is truly important. At Made, we would be happy to chat with you about how your session could work and listen to what you hope to get out of your own Boudoir experience before you make any decisions. You would be welcome to do this face to face at the Glastonbury based studio or over the phone if that’s more convenient. Our sessions start from JUST £20 depending on whether you’re looking for a Weekday or Weekend appointment. This isn’t just a boudoir session, this is a truly great experience so Buy Your Experience today! Bridal Boudoir photography is quite simply the perfect gift for your groom. Whether you have your bridal lingerie being a part of your session or some other little wedding day touch, it will be an amazing personal gift for him to enjoy and you will look and feel sensational. Of course he would love a new watch as a gift but our stunning Bridal Boudoir Packages will give him goosebumps! So what makes more sense? Get in touch now for more information on our exclusive Bridal Boudoir Packages or buy your Boudoir Voucher now to treat him to something personal. You will sit down with Neil when you first arrive and the two of you will discuss what you want to get out of your session. You will go through the outfits you have brought in and work out which lingerie will work best for you and the photos. During your session, Neil will direct you every step of the way from body positioning to facial expressions. He will use the lighting to ensure he flatters your body getting the best out of you whatever your shape. There will be a variety of poses for you to work through ensuring that at the end of your session you will have a fantastic variety of images to choose from. After your session is when behind the scenes springs to life. Using state of the art technology, Neil will work his magic on your images to ensure your art is a true reflection of you. You then come back for your viewing a few days later, sit back and see just how amazing you look. You will see a varied selection of shots in your viewing in a variety of finishes including Black and White and Neil will advise you as much as you want as to what will look best presentation wise for the images you are looking at. Some women like to have DIgital Files to keep their stunning images on their computer; some like to have an album to look through when they so wish and others like to have a piece for their wall! Whatever you’re looking for, there will certainly be something suitable at Made Boudoir.